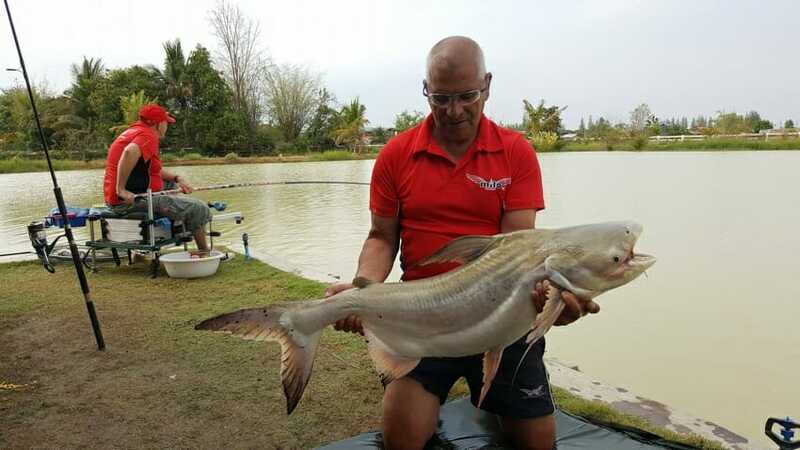 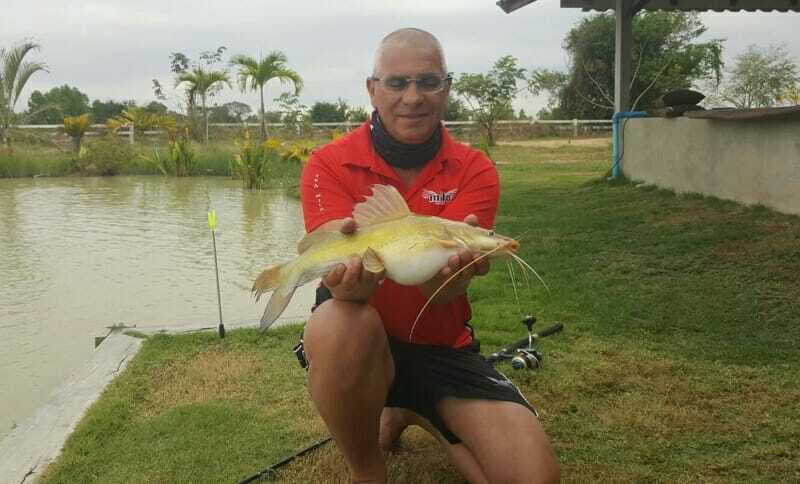 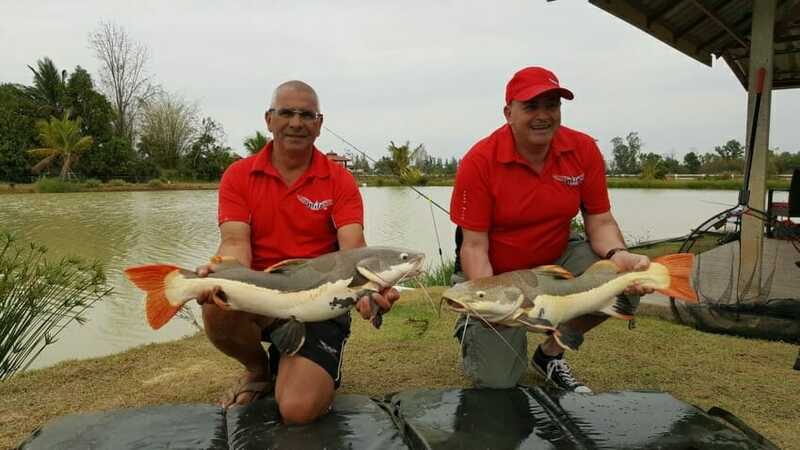 It was an extremely exciting day watching professional french anglers Mr Toumi and Mr Jean Michel putting their skills into action. 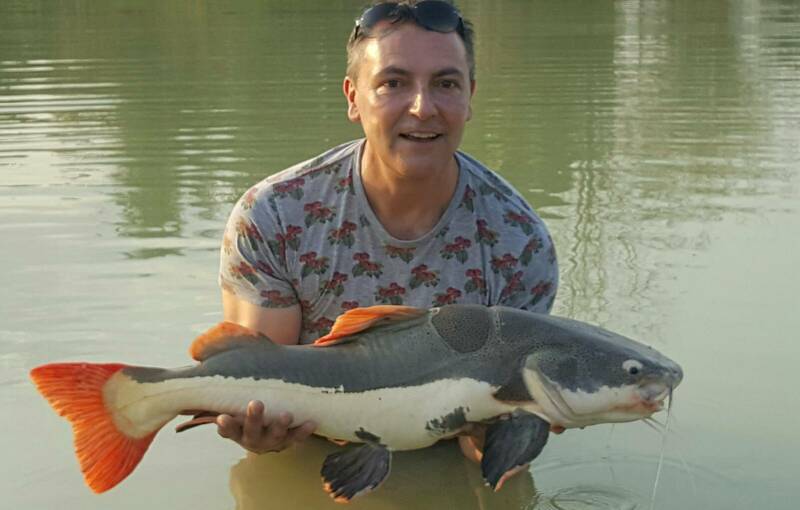 After another surprise cold night it was it was good to see them get off to a fast start, in fact it was very fast paced throughout the day easily gracing the nets with over 25 fish and with10 different species counted! 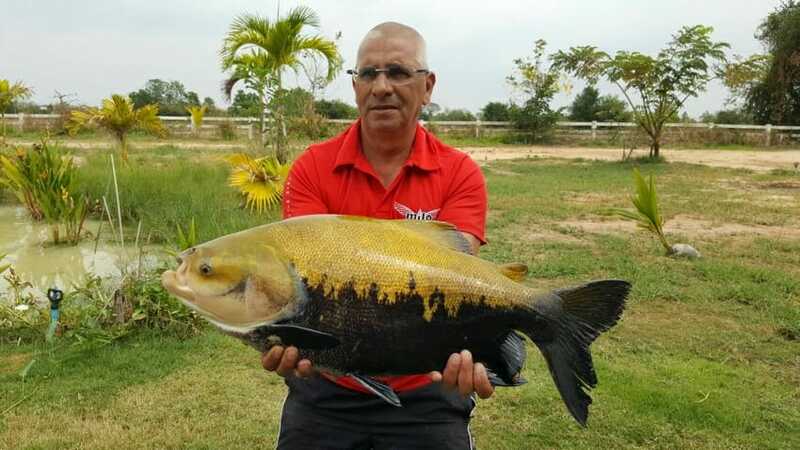 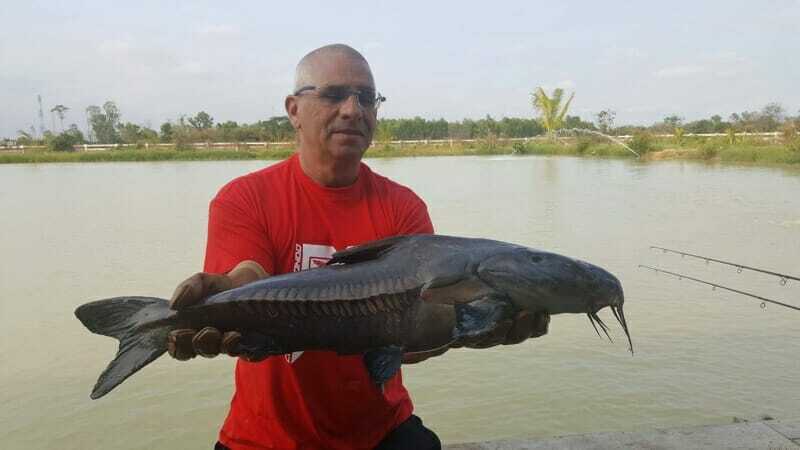 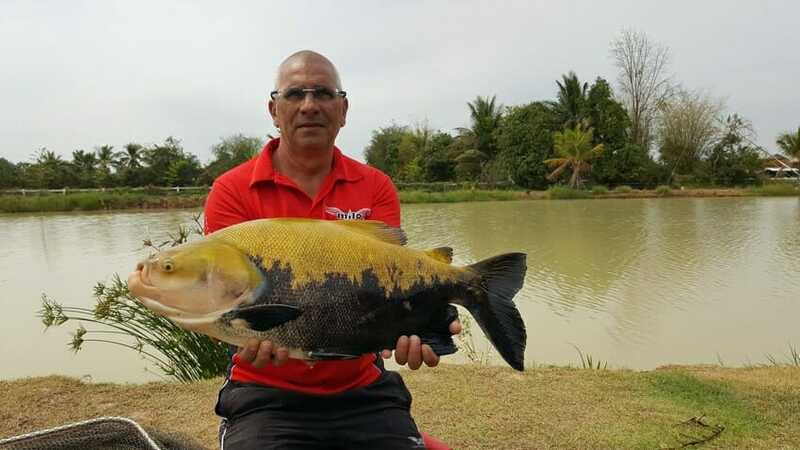 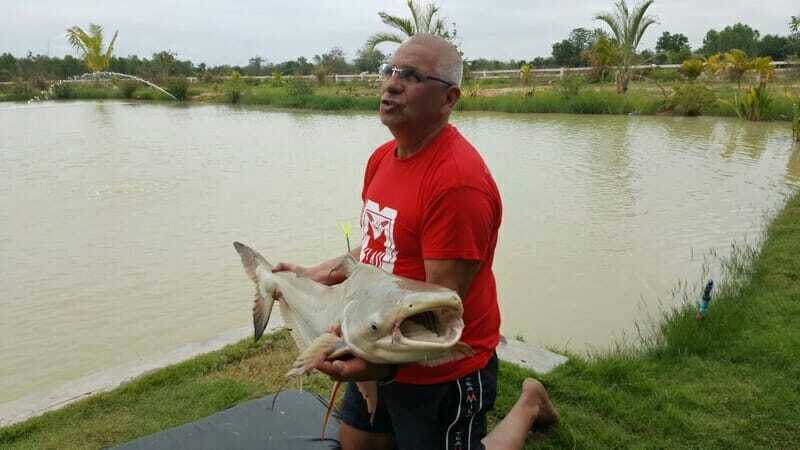 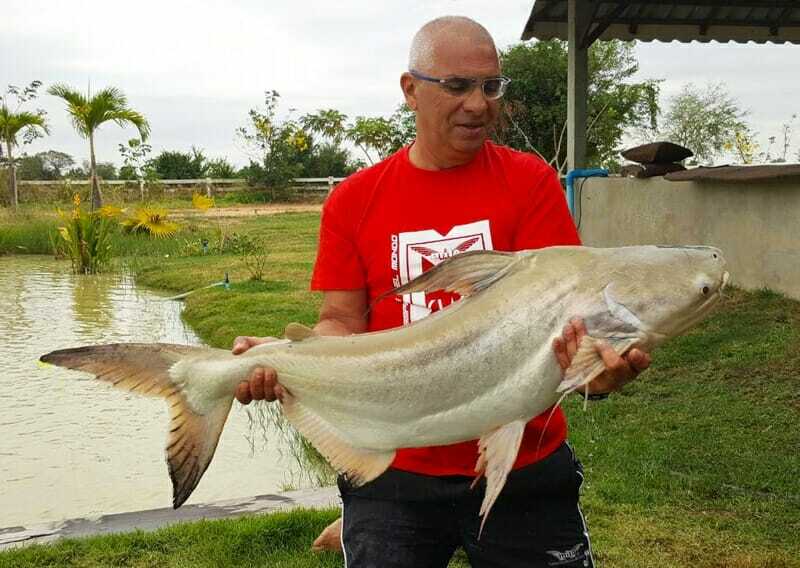 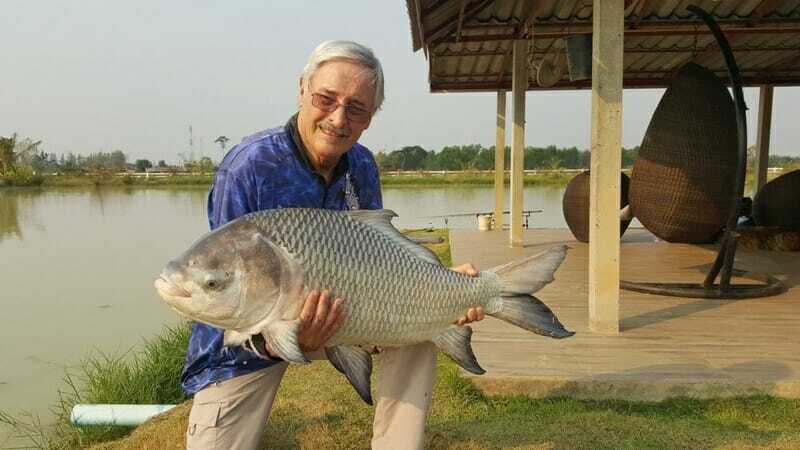 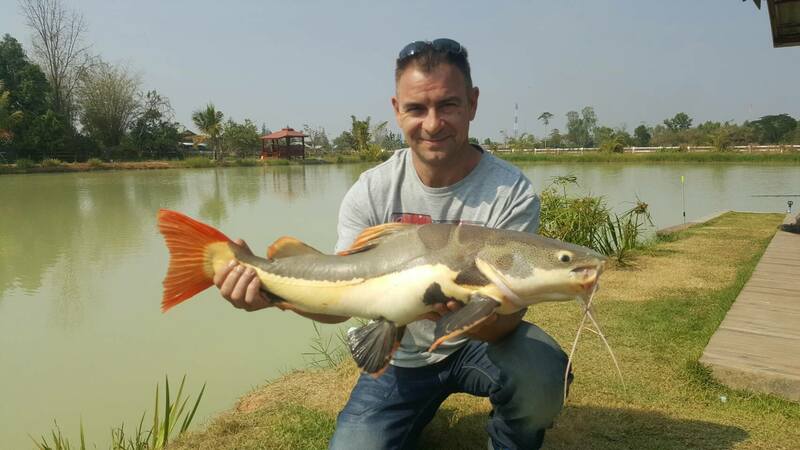 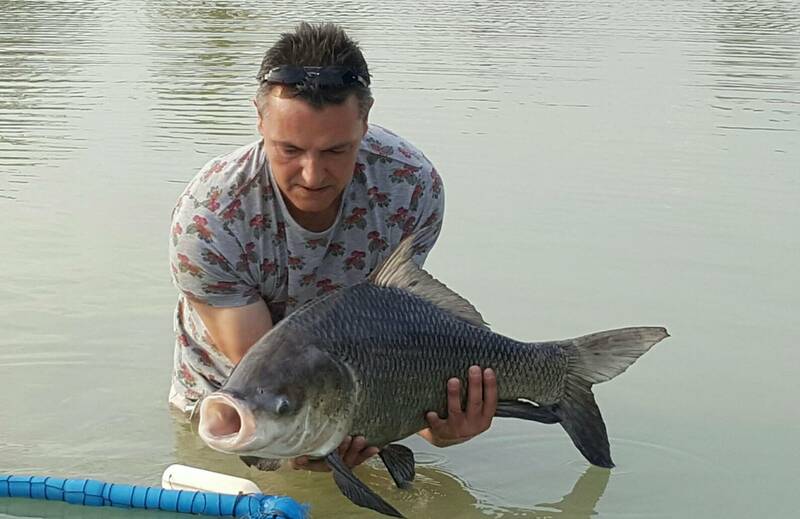 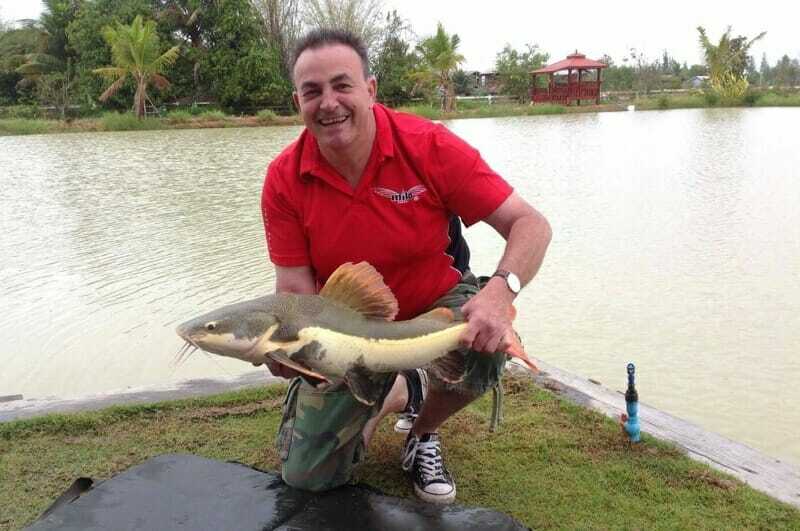 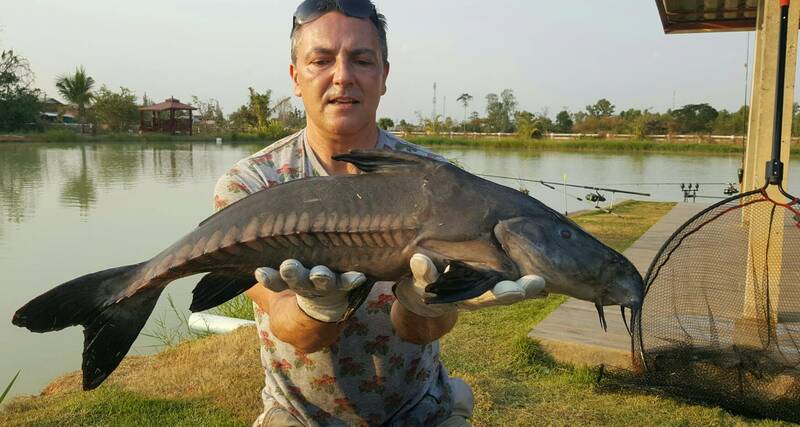 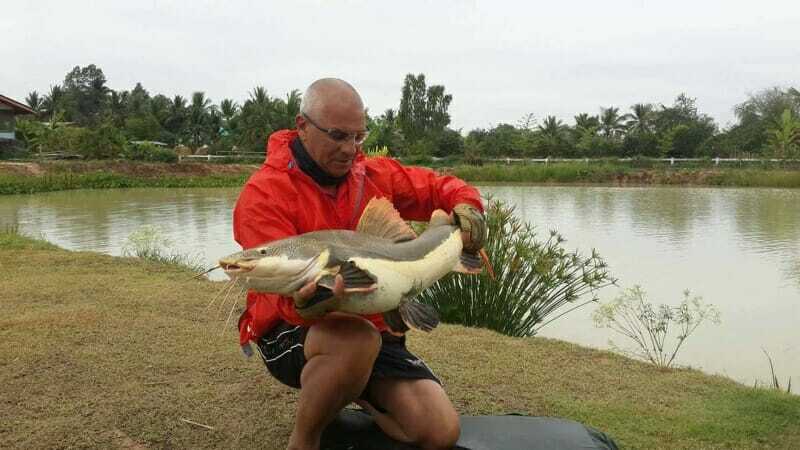 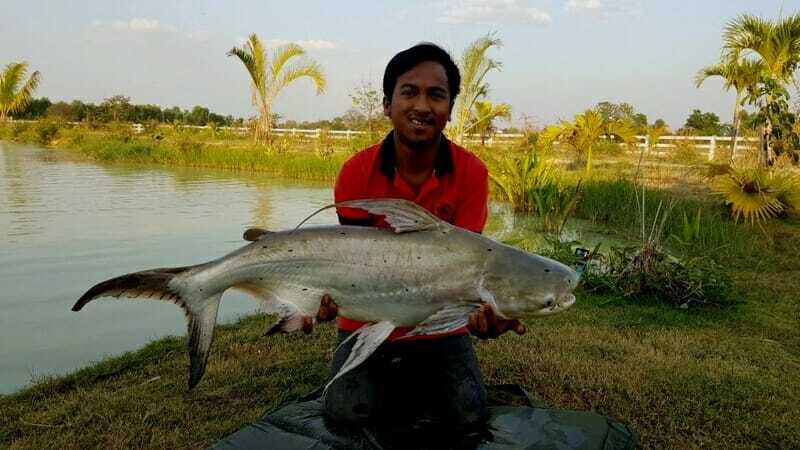 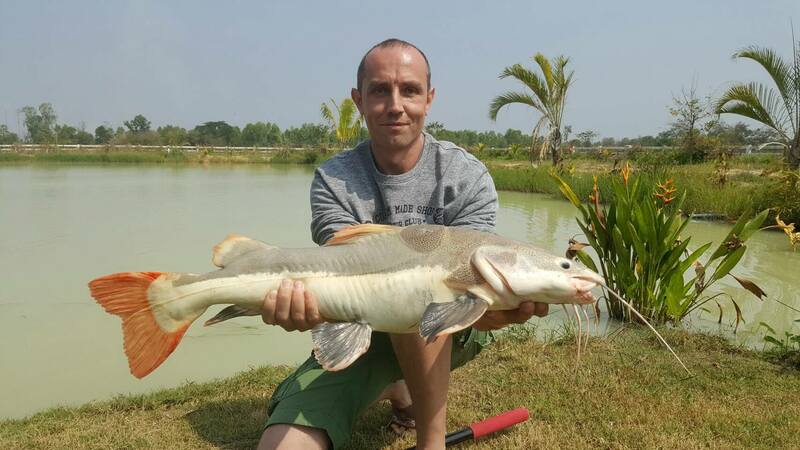 Consisting of Siamese Carp, Alligator Gar, Asian Redtail, Amazon Redtail, Ripsaw Catfish, Chao Praya Catfish, Tambique, Bla Kot, Bla Nin and nicely finishing off with a lovely Julien’s Golden Prize Carp….. 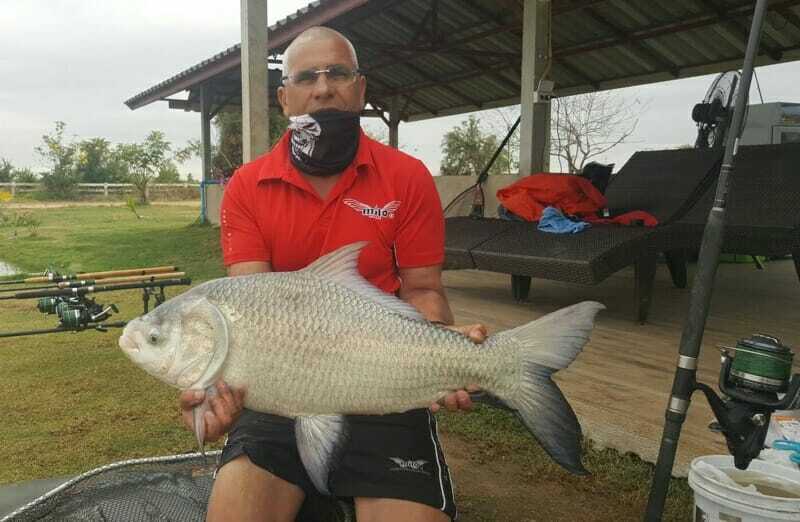 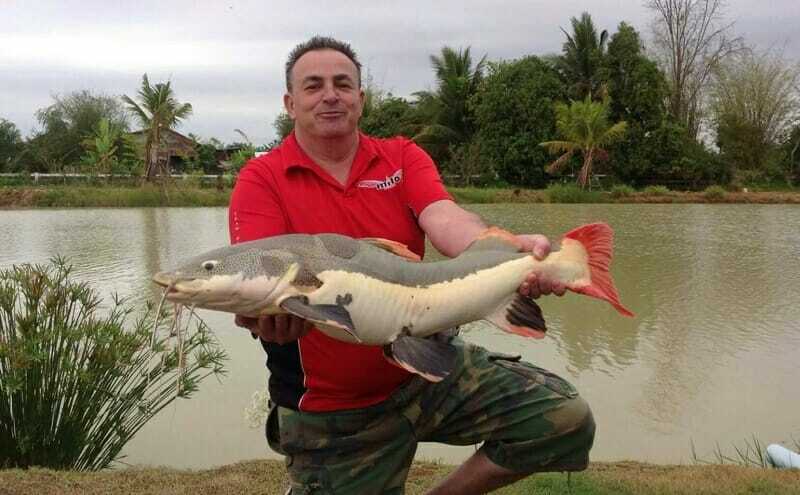 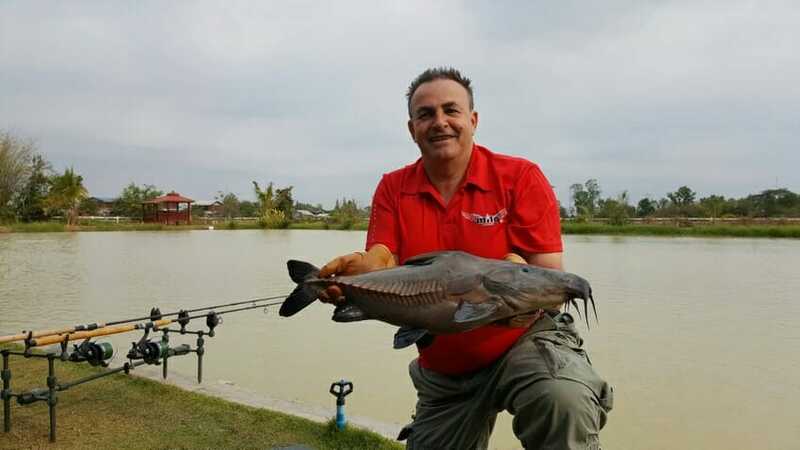 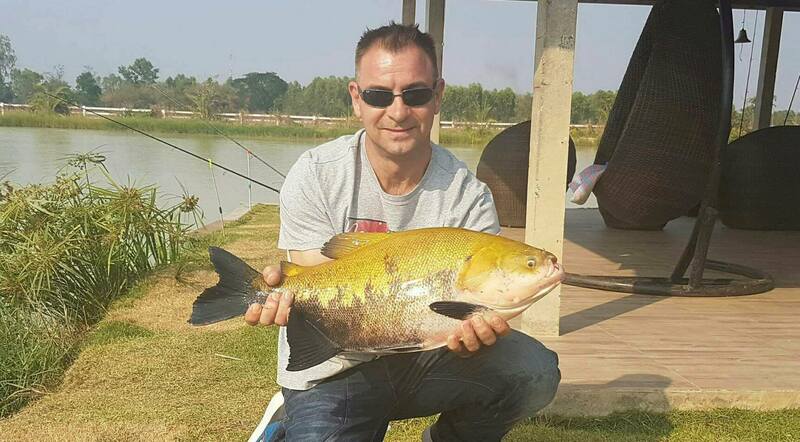 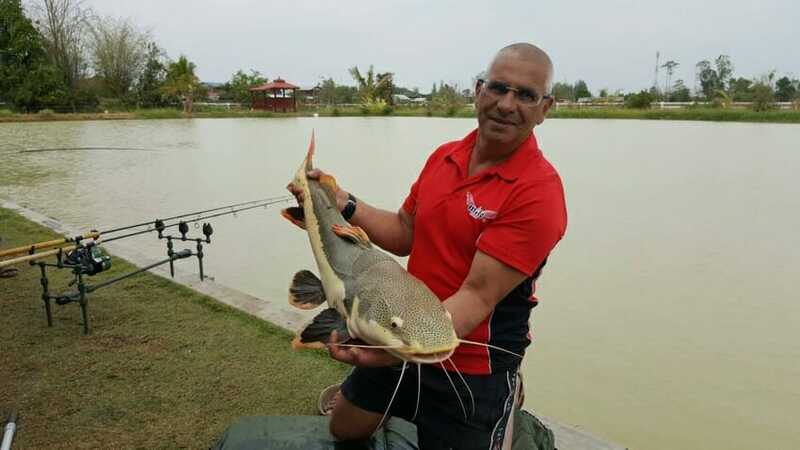 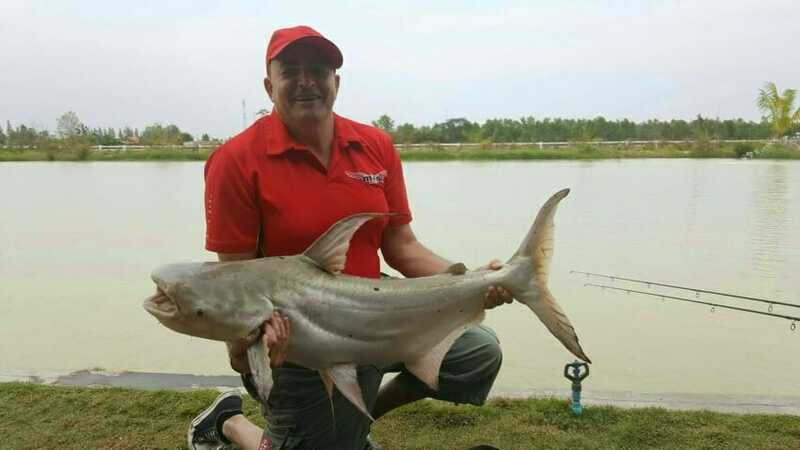 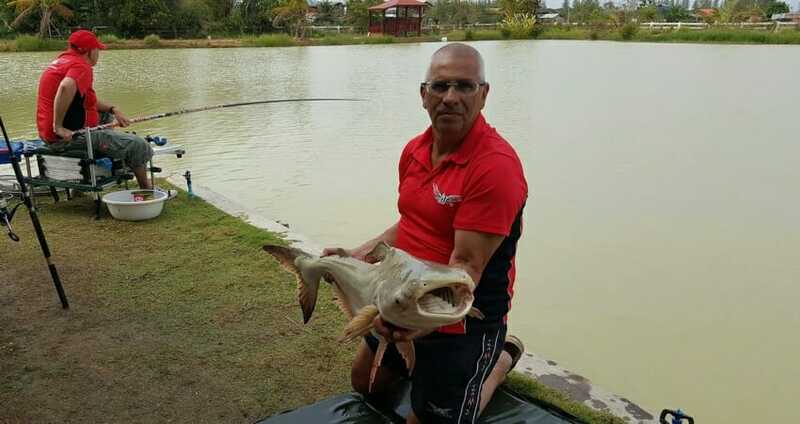 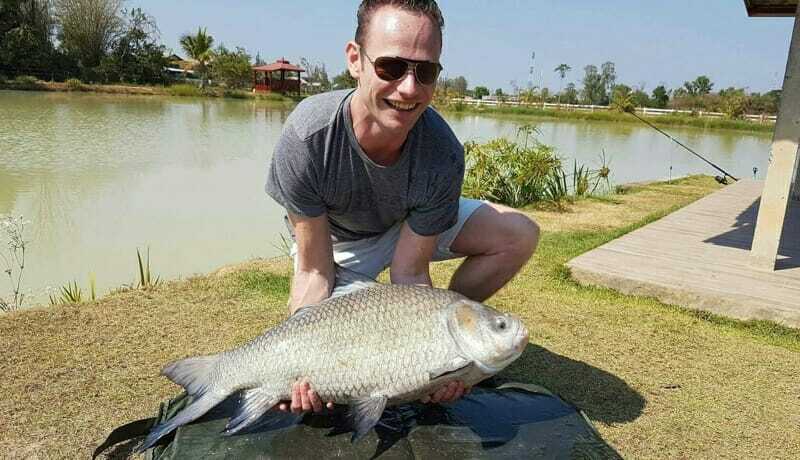 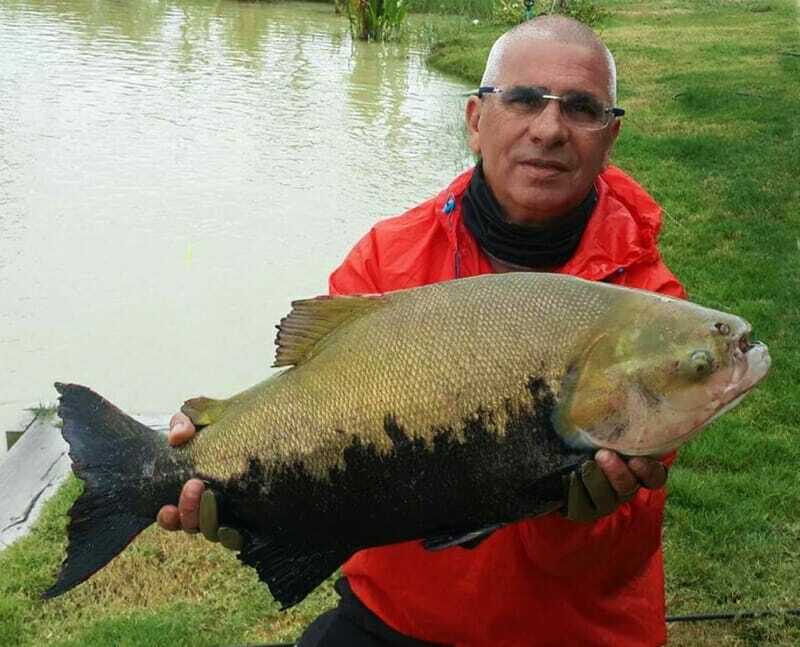 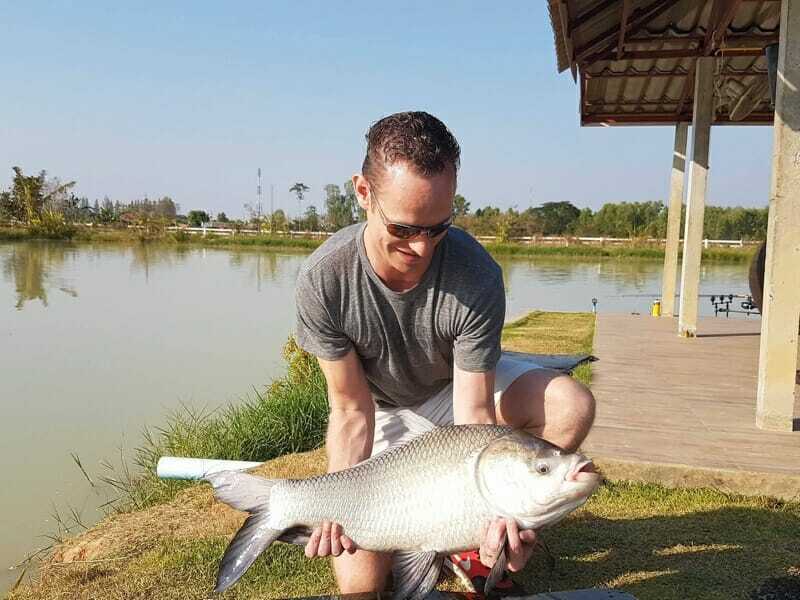 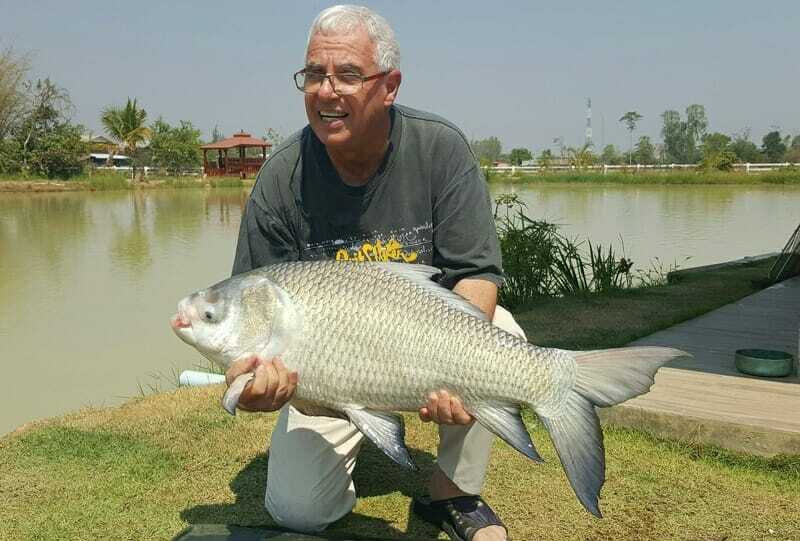 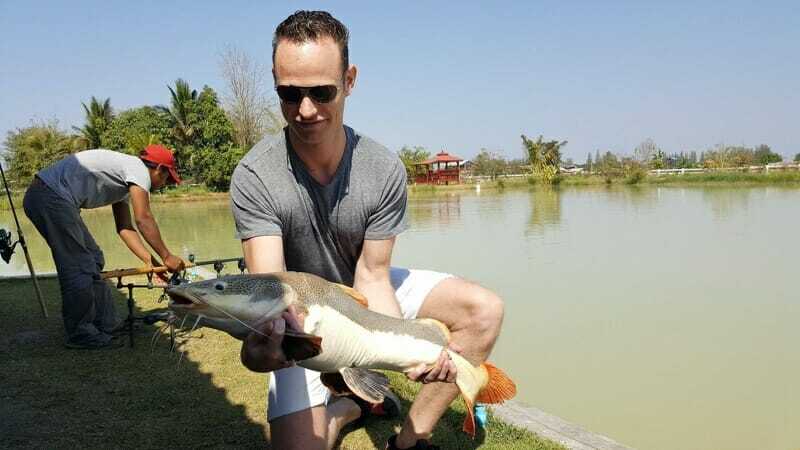 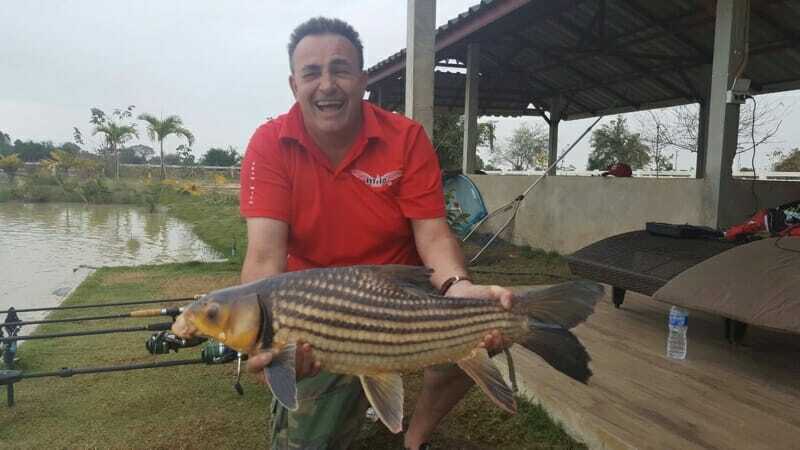 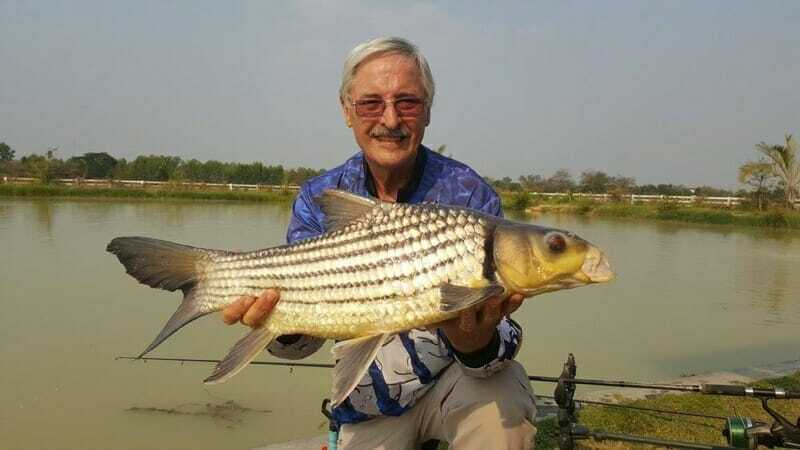 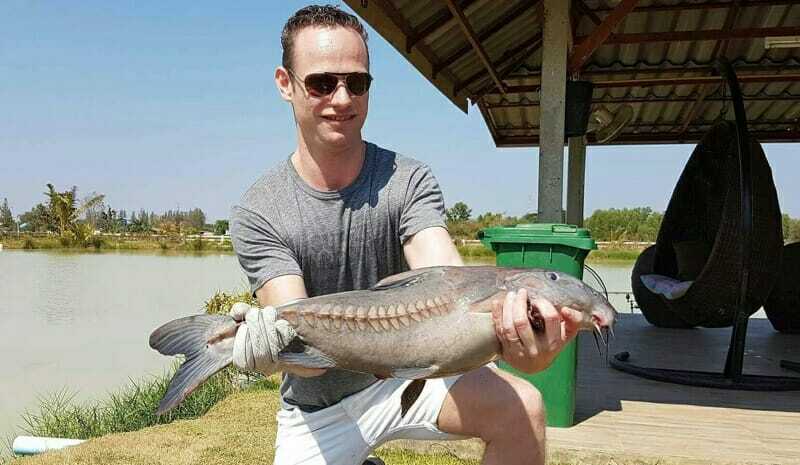 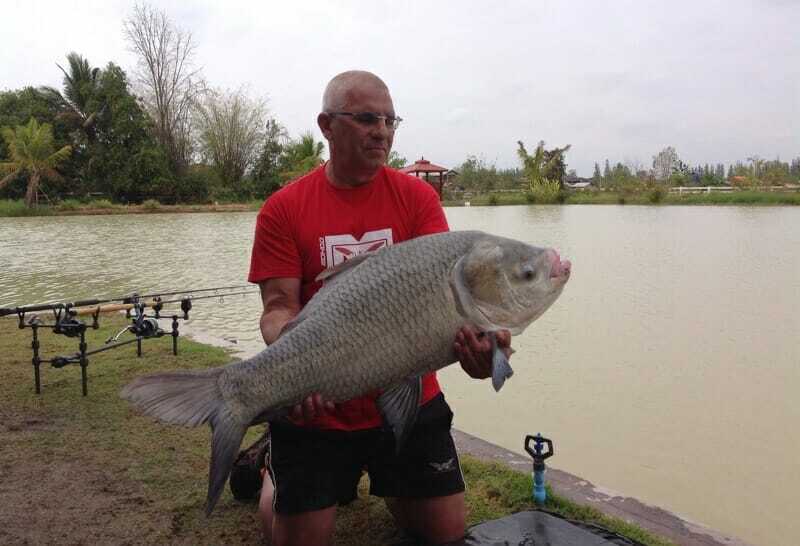 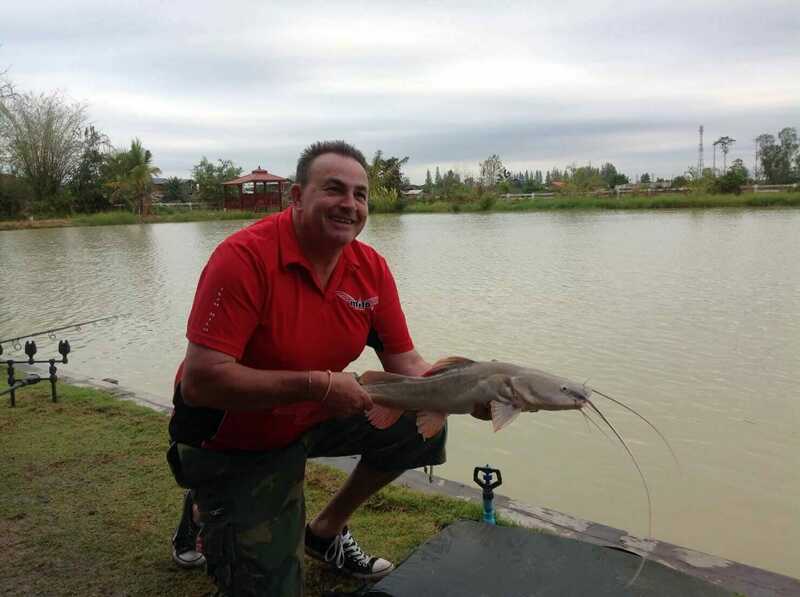 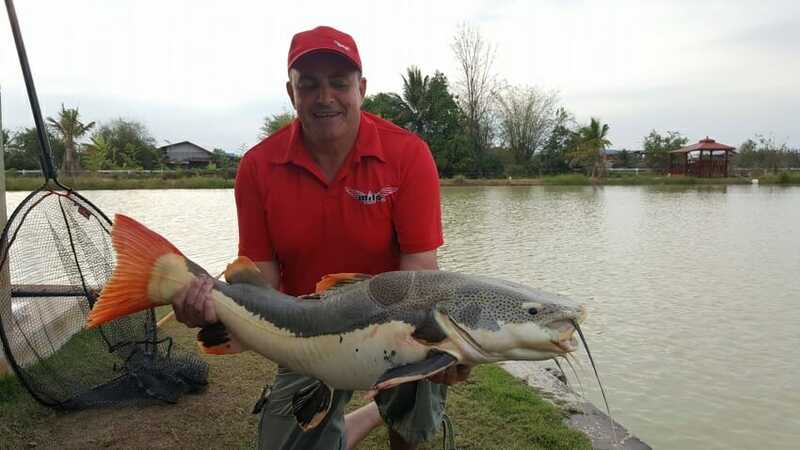 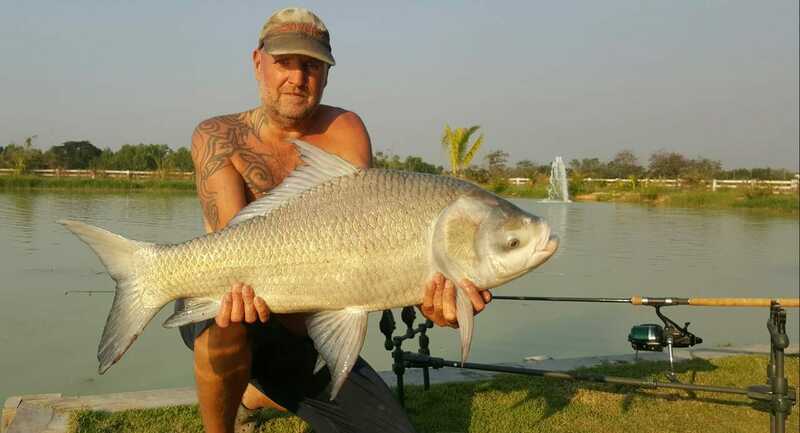 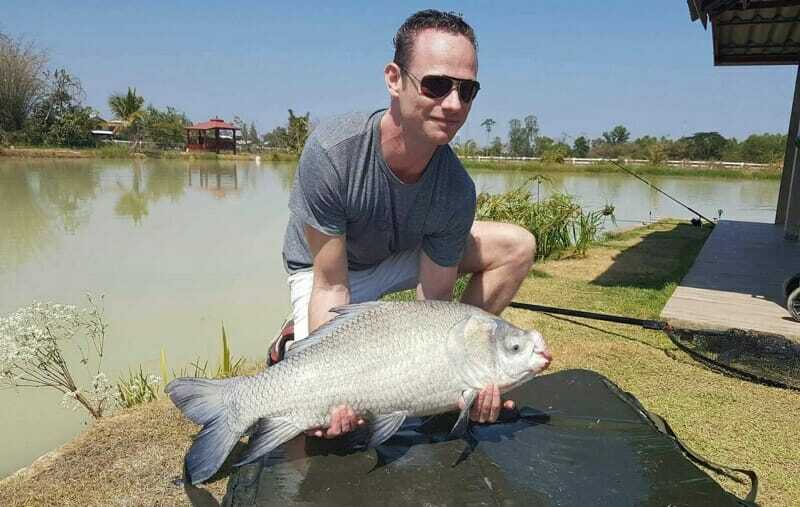 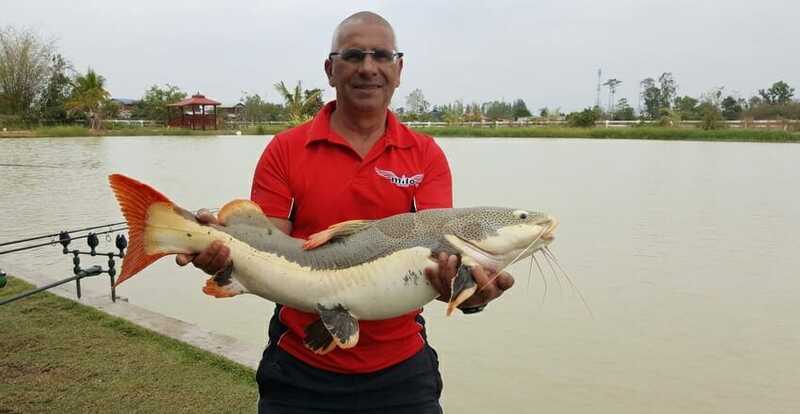 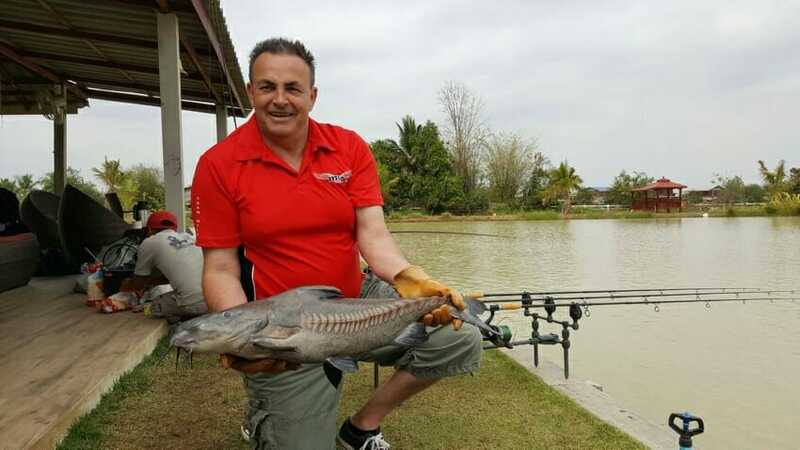 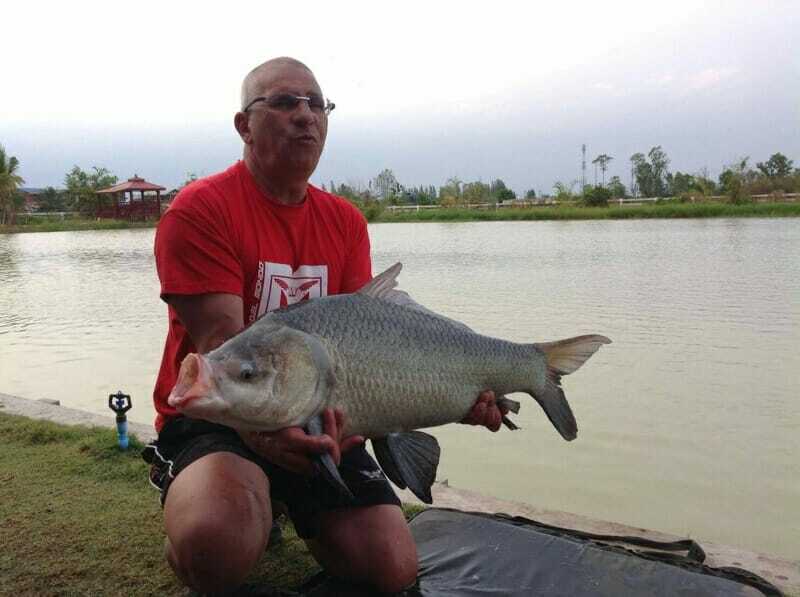 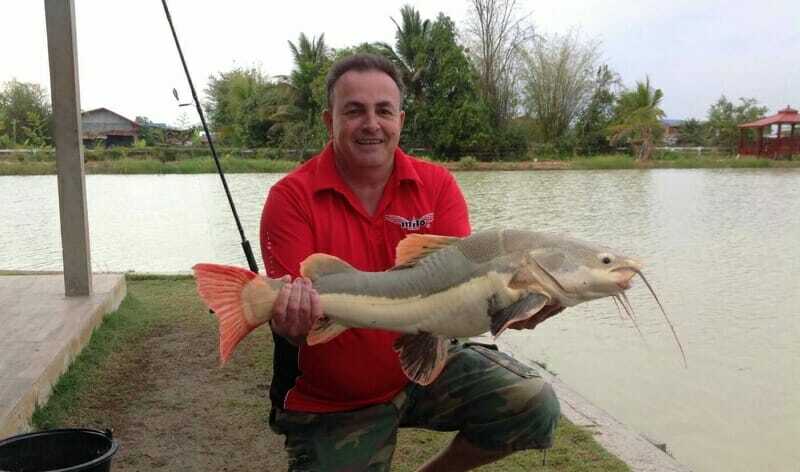 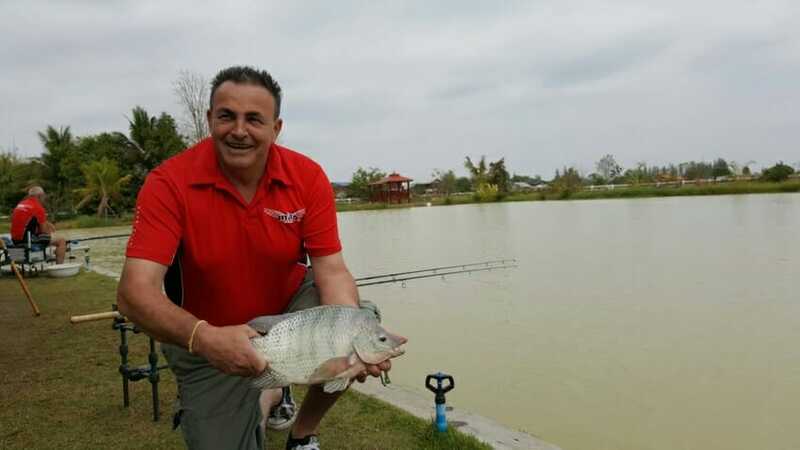 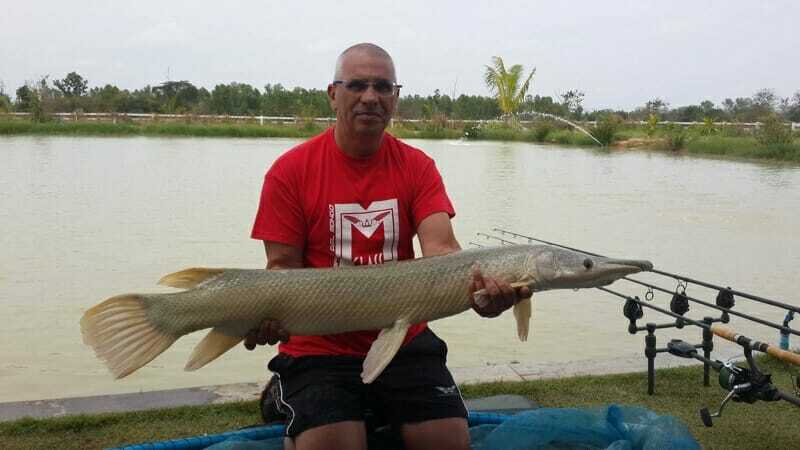 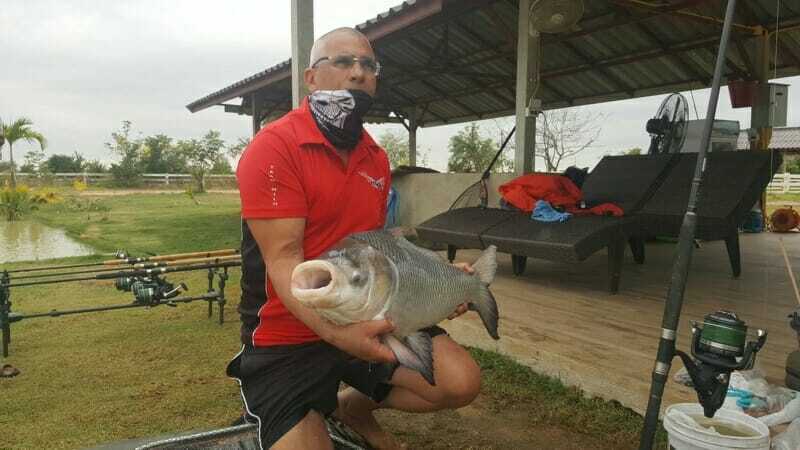 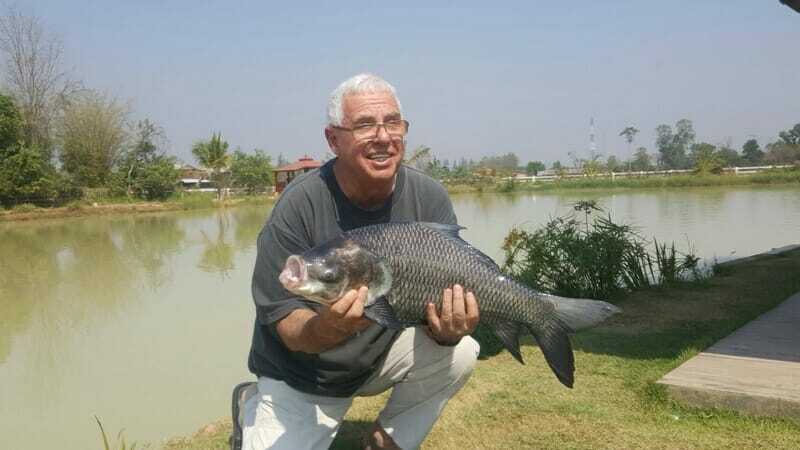 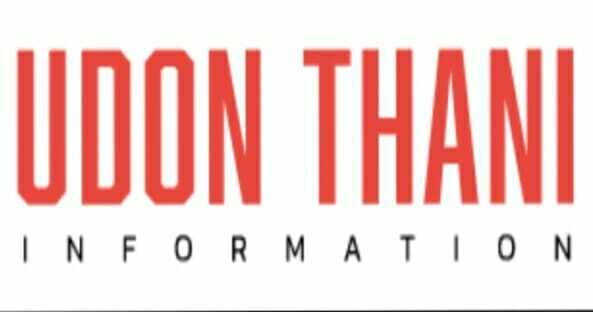 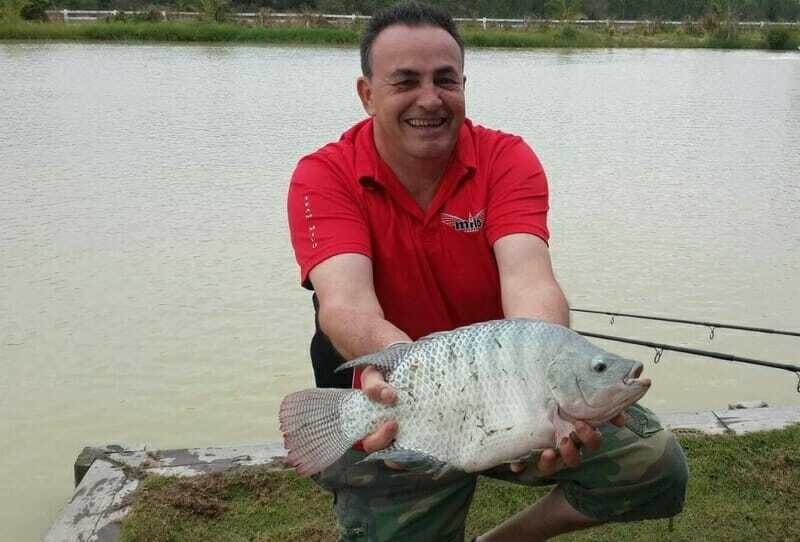 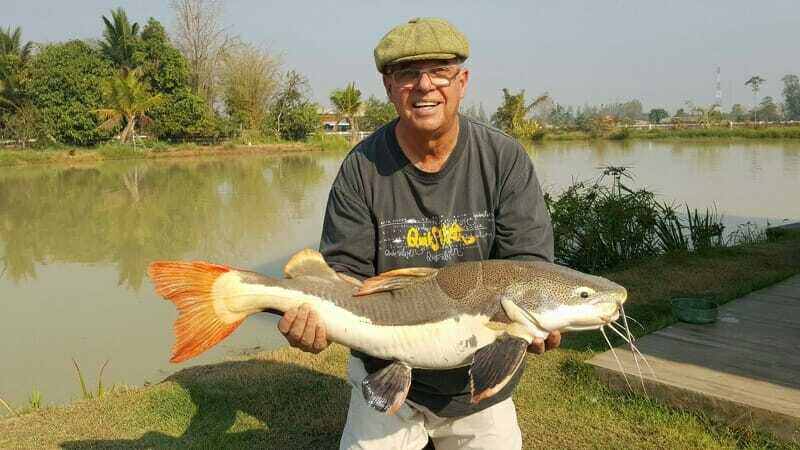 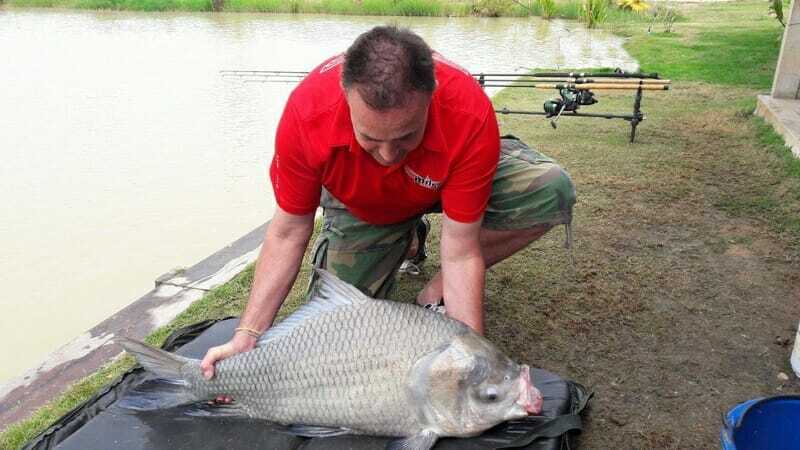 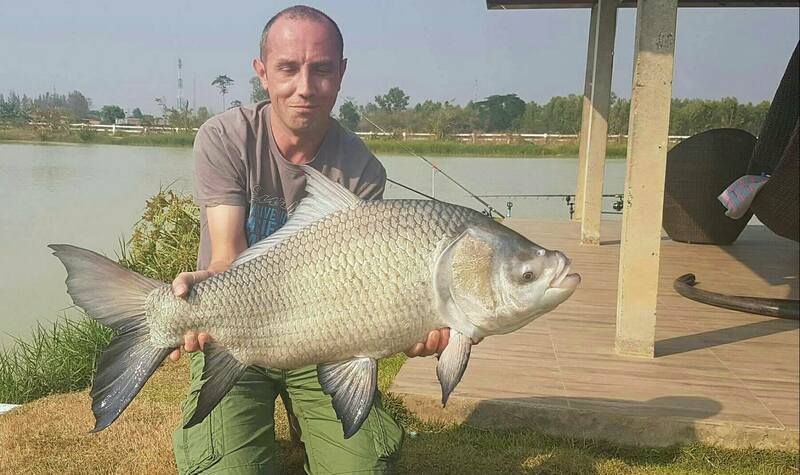 Both anglers are presently touring Thailand with the envious task of fishing as many waters as possible and it made me feel quite privileged that they had booked our lake for the day.. 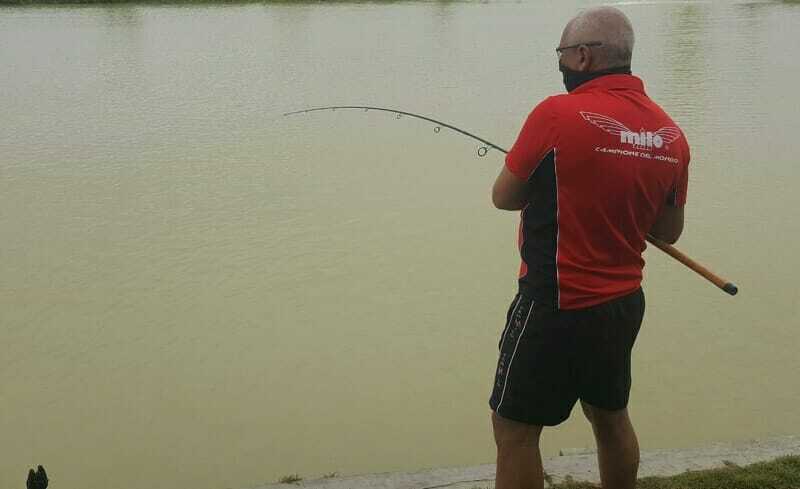 Thank you lads it was a fantastic day and I am looking forward to round two! 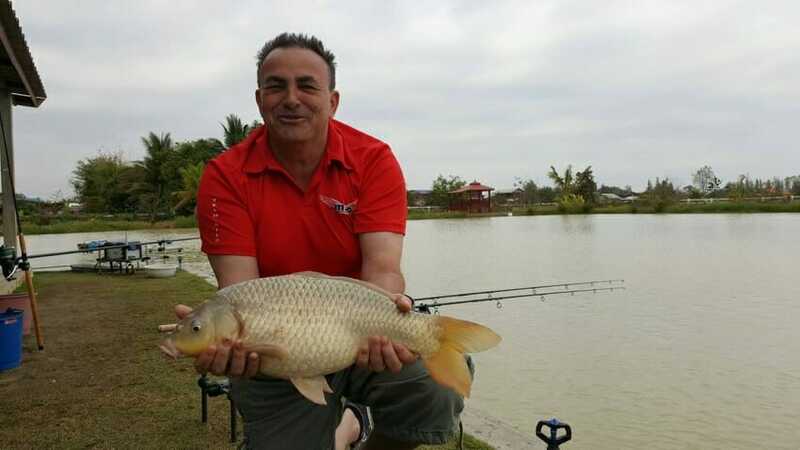 After a bit of a break it was good to see our resident angler Bob was back in action, a Julien’s Golden Prize Carp was the target fish for today which was nicely landed mid afternoon. 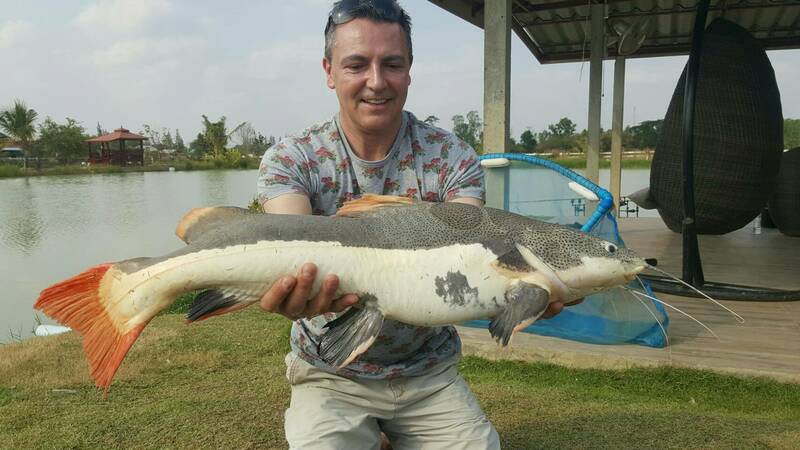 Another double take with a sneeky Amazon Redtail Catfish taking the carp bait on one rod and a beauty of a Tepa on the other..our guide Burr was too the rescue yet again.. with quite a few other species in the net, what a cracking day ! 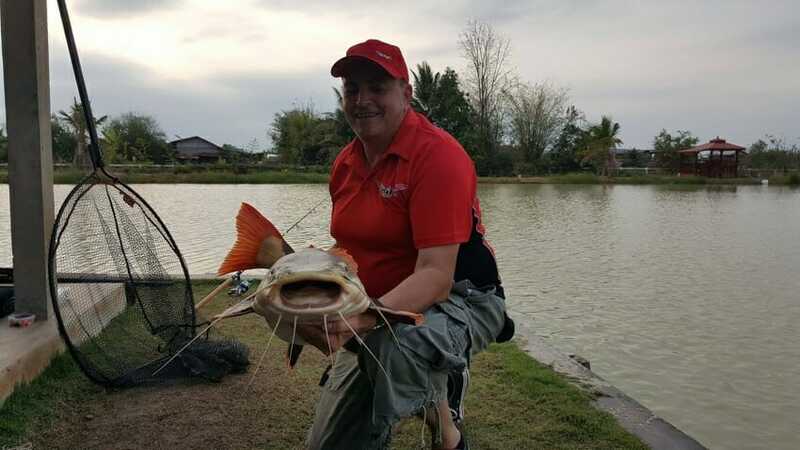 More Rod bending action for Mark who was here on his first visit to Udon, our guide young Burr steps in to give a helping hand with a double take gracing the net with a nice Siamese carp and Amazon Redtail ‘ Thank you Mark and lovely wife Elke we look forward to seeing you again …. 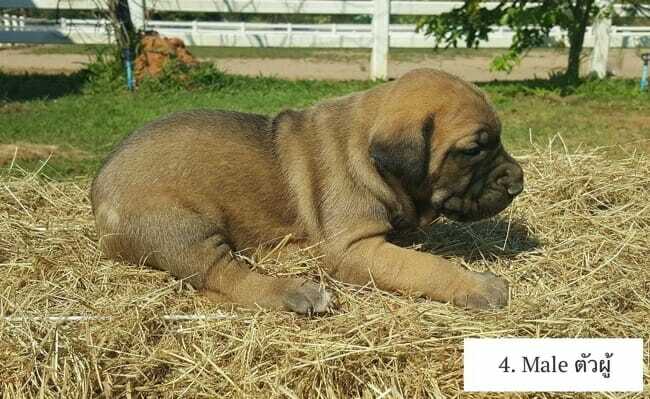 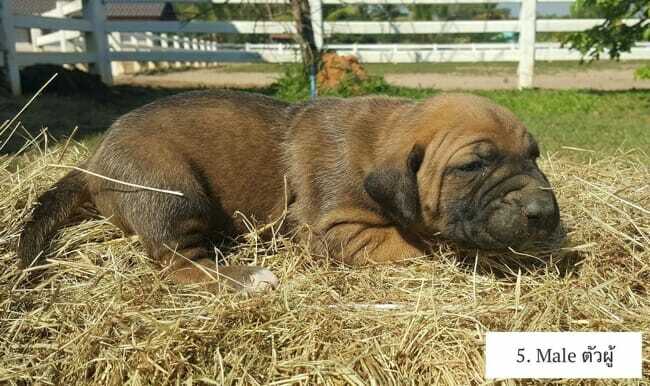 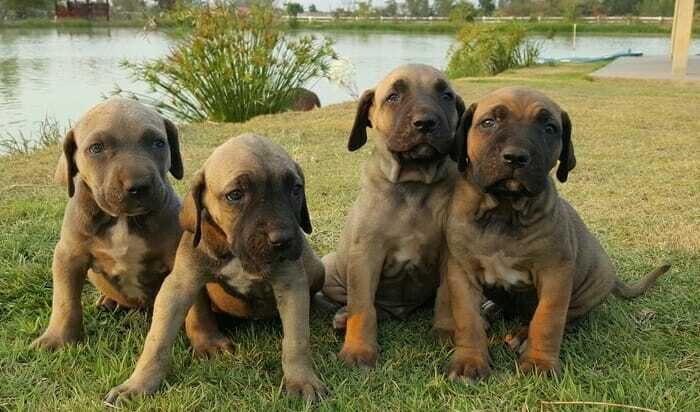 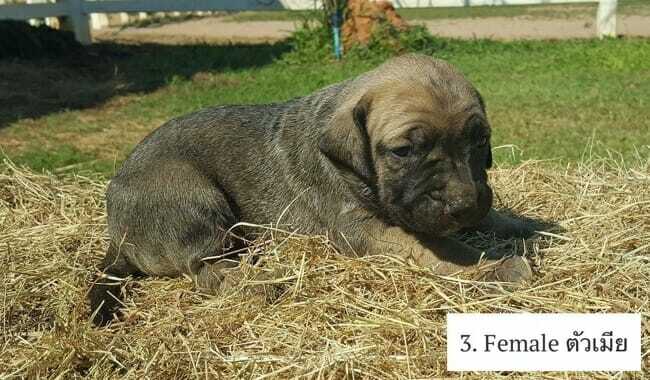 The Fila Brasiliero is the worlds ultimate estate guard dog. 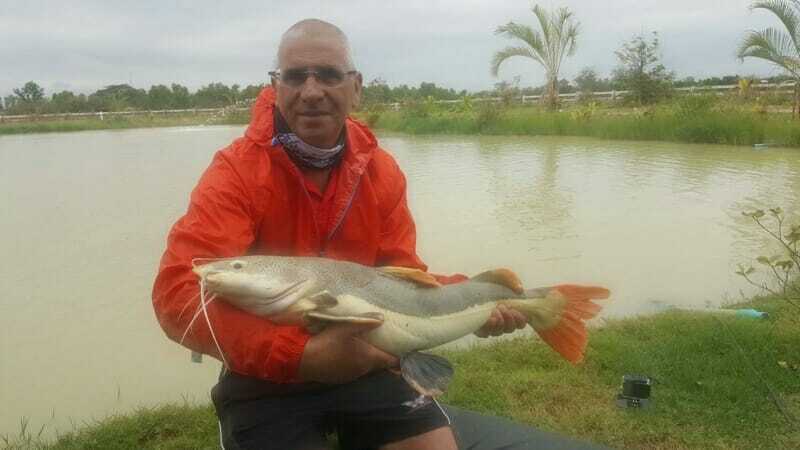 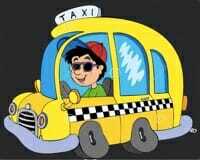 Fila’s bond strongly with their immediate families and show extreme loyalty and protectiveness towards them. 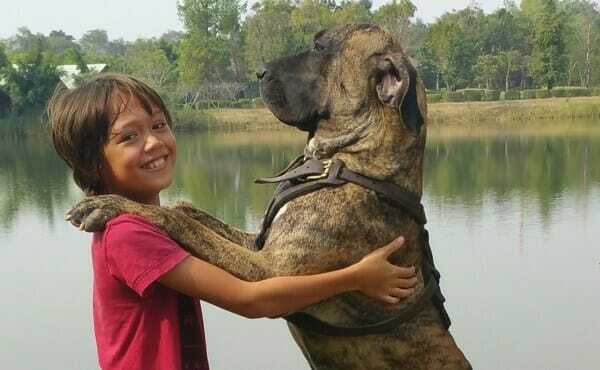 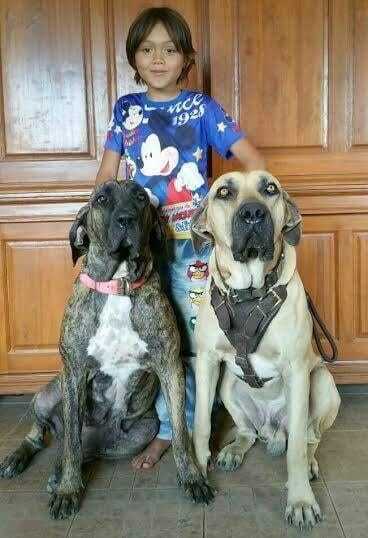 They live to protect their loved ones, including children and other pets. 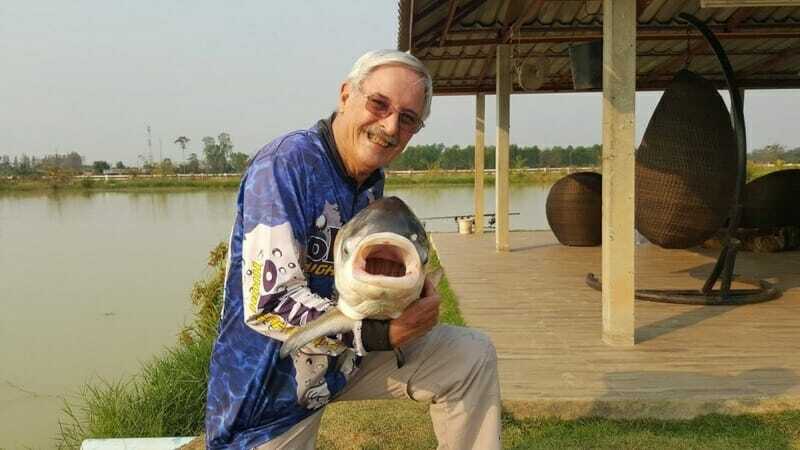 Very few will accept strangers. 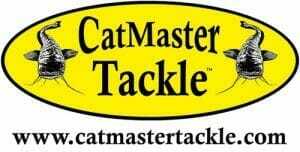 If you are looking for that extra bit of security around your house and for your loved ones this is it…. 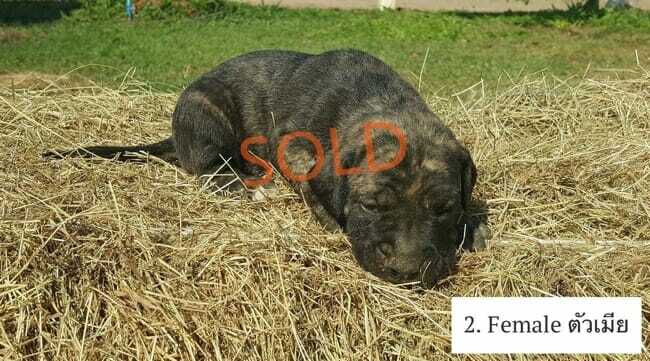 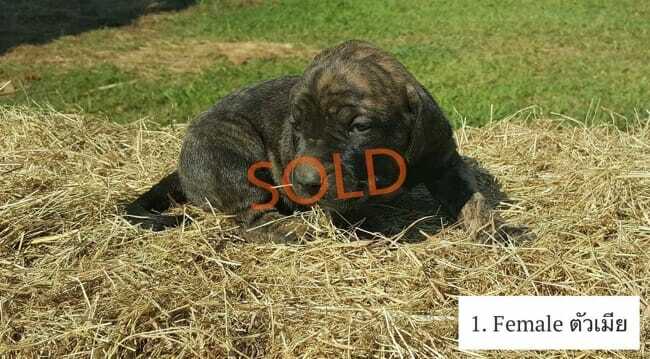 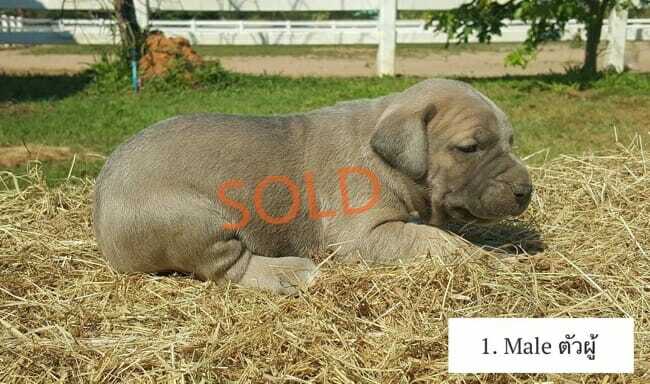 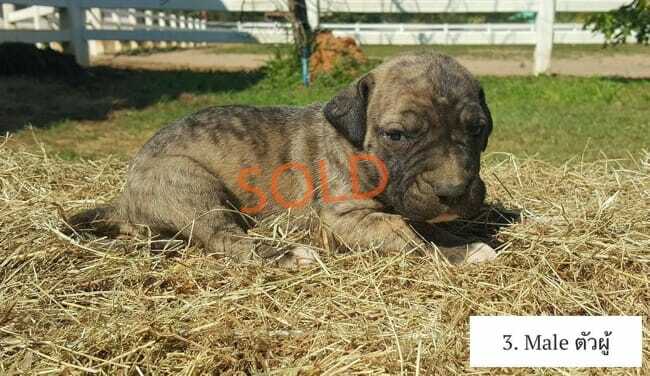 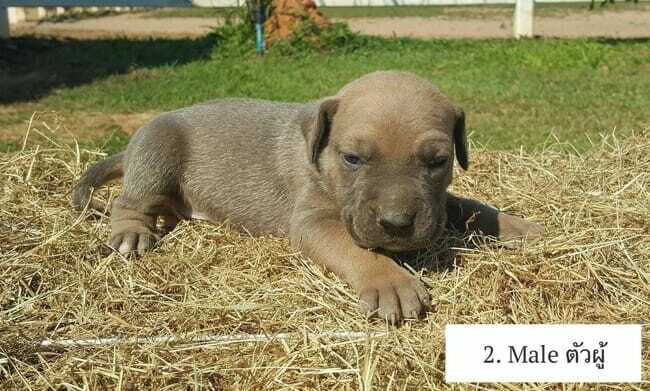 Available to responsible and dog experienced homes only.. 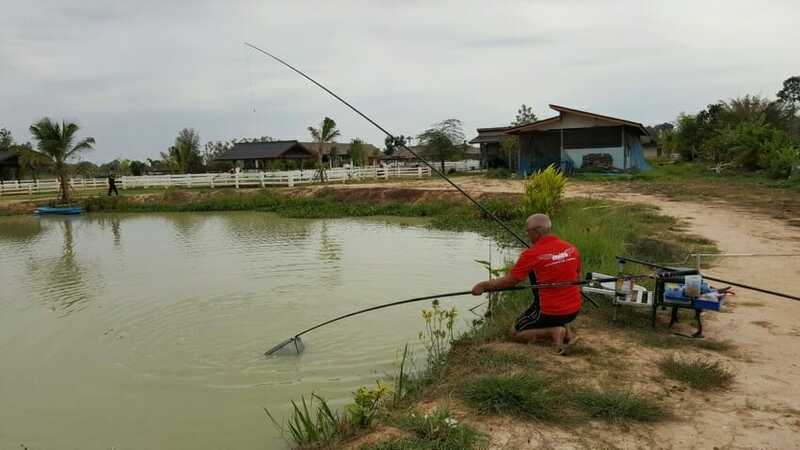 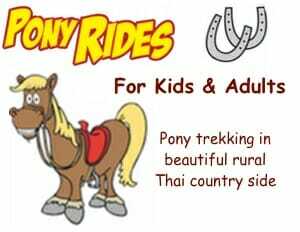 This past day there’s been a sudden change in the weather in North East Thailand and first thing this morning I thought it might be time to get the bobble hat and gloves out. 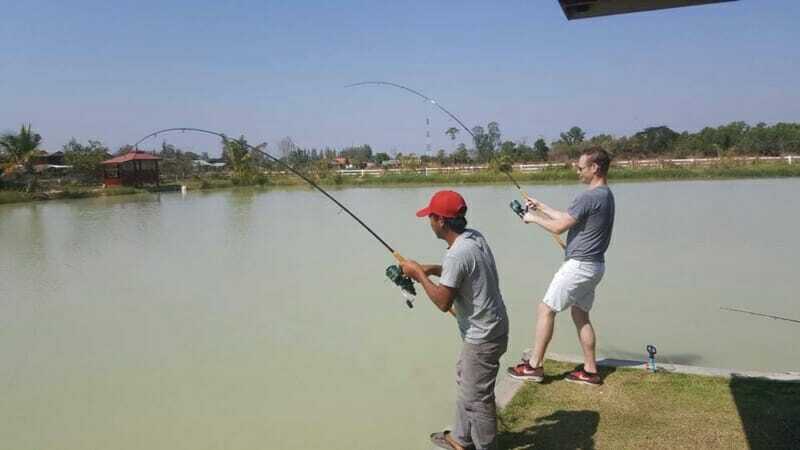 It was first time fishing in Thailand for keen pike fishermen Haddie and Paul from Holland who today rented the lake out, despite the sudden drop in temperatures they still managed to have a cracking day.. 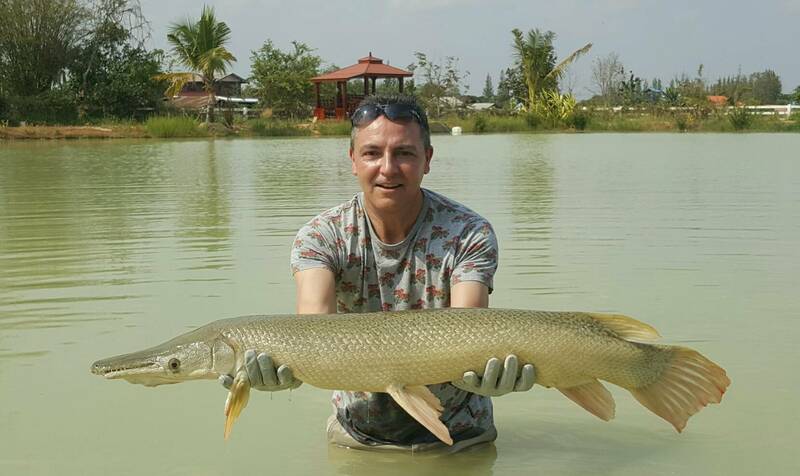 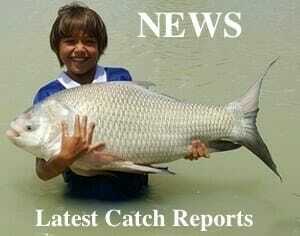 Unfortunately no Alligator Gar which would of been nice.. hopefully next time lads and thank you again for your visit! 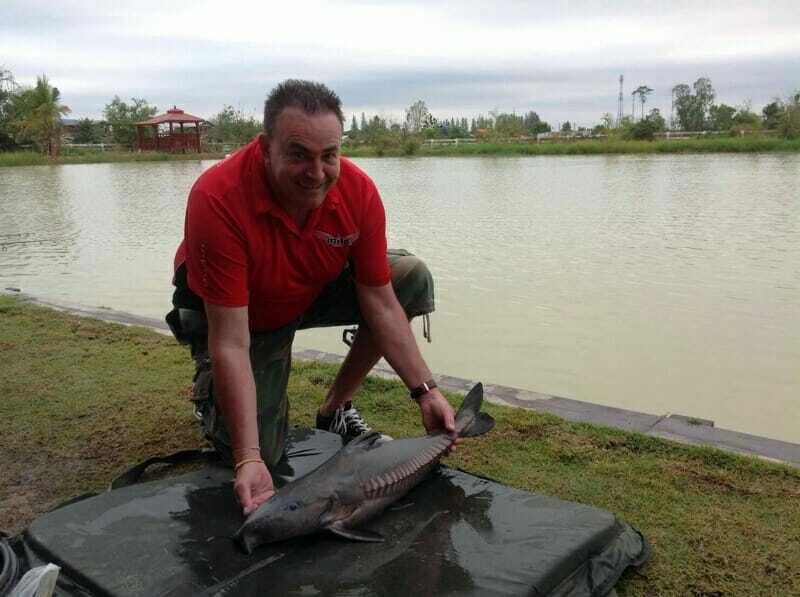 We now have a new batch of 8 Fila Puppy’s (now at 1 month old today 3 female and 5 males..
Andy’s 2nd visit to our lake this week and he was certainly kept busy for most of the afternoon, easily netting over ten decent sized fish and with two new species to add to his list including the target fish for today ‘ the Alligator Gar ‘ and then a surprise Ripsaw Catfish.. actually I am not sure why they call them a catfish as they are more like a carp in the head and mouth with prehistoric razor sharp body armour at the back.. but all in all an excellent afternoons fishing! 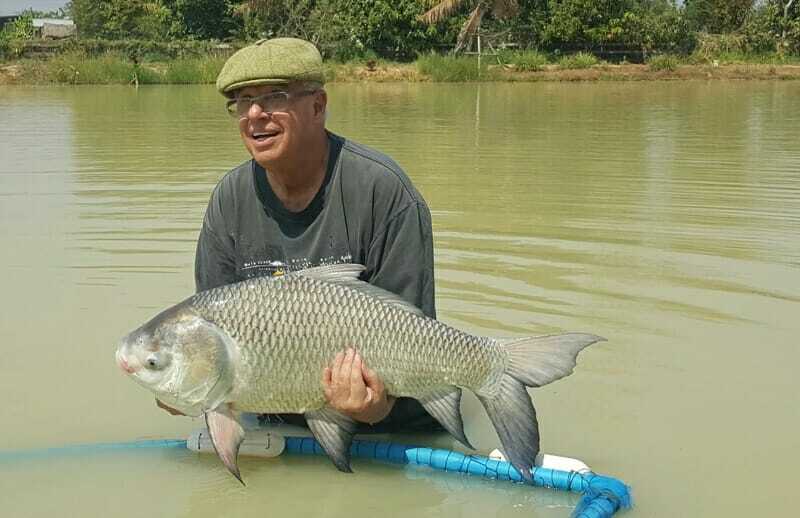 I was just testing a couple of new rigs we have set up before this afternoons booking and oops’ accidentally caught a lovely 47lb Catla Catla Indian Carp!